A great all rounder of a whisky. Almost always have some lying around. Good review. Absolutely – one of those bottles you appreciate having on the shelf. Agreed, this is a staple, like bread, coffee, eggs…you know, a grocery item 😉 I like the all-round character as well, you don’t always need a billow of smoke, a whiff will do. A good scotch for introducing the non-peaty types to the dark side. A vastly underrated whisky which deserved far more praise than it currently has! I remember my first dram of this quite fondly and this review has brought back some rather nostalgic moments heh. Defs gonna pick up a bottle of this the next time I pass by a bottle shop or Duty Free (if they have it)! Do it, Brendan! One litre of Highland Park! So good, I grabbed a bottle of the Svein last time I was in duty free. It’s not bad – though the 12 is better. Good luck! I expect detailed tasting notes! It might not be my absolute favourite but I always have a bottle of it in the cupboard. It’s that sort of whisky. It’s appreciated by many rather than adored by a few. Well done, gentlemen. 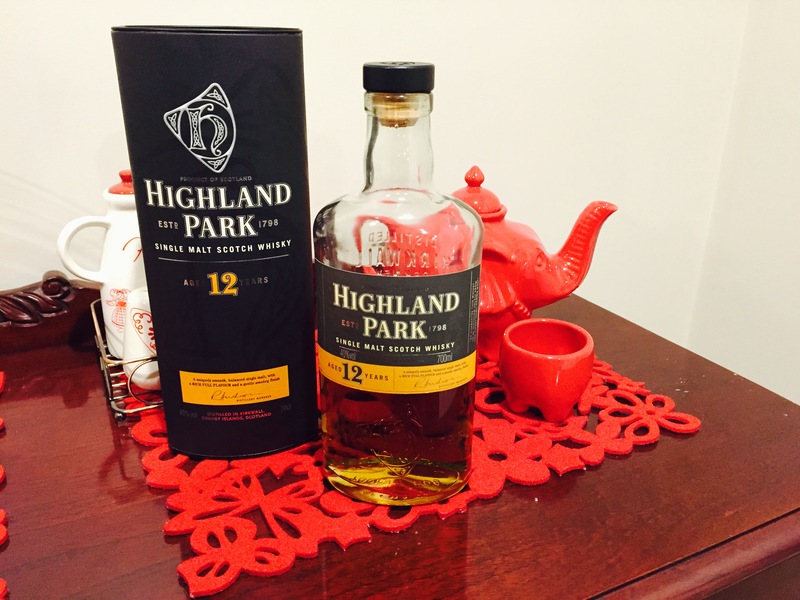 HP12 is one one my favourites for all the reasons you’ve mentioned… Offers a bit of everything! Thanks very much! And yes, it certainly does. A fine drop! This could be my number one whisky. And BEWARE DARK ORIGINS. The bottle is gorgeous (I really do love HP’s whole viking-themed design thing) but the whisky is a let-down. I very much hope this is not going to eventually replace the 12YO like other no age statements. My concluding paragraph stands corrected. It is a great whisky (though I’ll confess the older age statements truly take it to another level). I shall also heed your advice about the darkest of origins. Though you’re right about the design – they have been marketed perfectly! A top notch review. I still remember first trying a dram of this whilst staying in the Stromness Hotel on Orkney (highly recommend if you ever visit – the Still Room has a choice of over one hundred malt whiskies while their Hamnavoe Lounge and Flattie Bar boast a selection of award winning Orkney Ales). It was the first whisky to truly start my love affair with the spirit and still remains a firm favourite for me. Thanks for the comment! It’s great that you can associate a specific time and place with a stellar dram. There are a few that take me right back to a moment or place and always hold a special spot in my heart (Fettercairn Fior to a bar in Edinburgh, Lark Distillers to an afternoon at their cellar door, and an amazing Port Ellen takes me to Fidlers bar in Drumnadrochit). Also, cheers for the heads up about the Hotel. I’d love to make it along to the Orkney Islands one day.